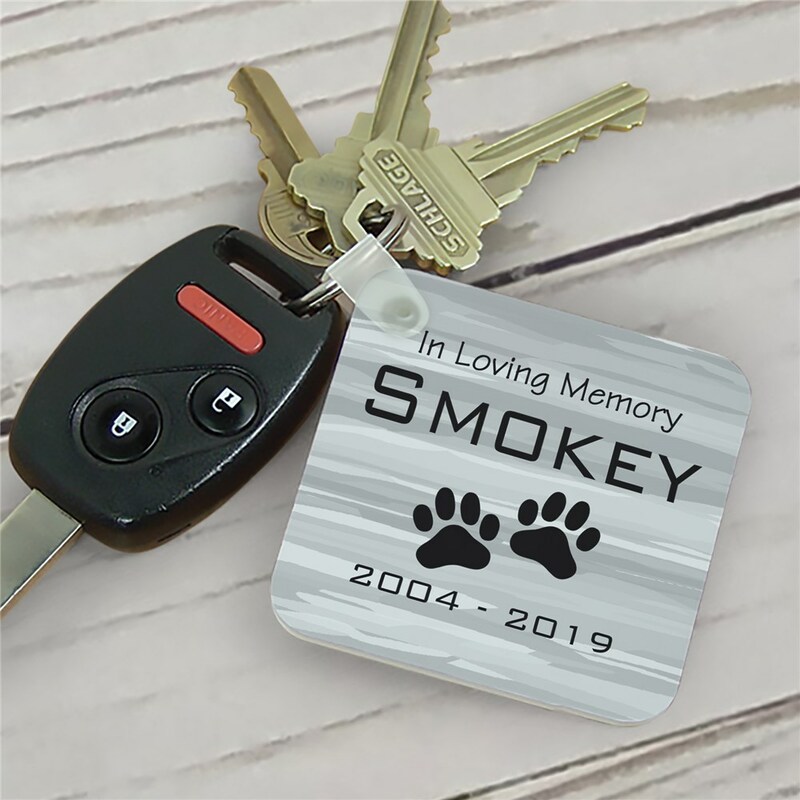 Carry around a small, heartfelt reminder of your lost pet each day when you put our pet memorial key chain on your keys. You can always remember the unconditional love your beloved pet gave you during their time with you. Free personalization is included. We will personalize the key chain with any pet name and years. The key chains are great. Our dog recently passed away and I purchased the key chains for my kids to have as a memorial to her.